It can be comforting to tell yourself that rat control is only required in partly derelict, badly maintained or unhygienic spaces. Rodents don’t require a fashionable address, a leading brand name or exceptional facilities, they simply need the means to survive so that they can procreate in the spring. Rather like humans, the cold weather has pests searching for sheltered, warm lodgings with convenient access to food and water. Your property could be their perfect winter retreat. The repairs that weren’t addressed, crumbs scattered temptingly on worktops, open food cupboards, animal feed, holes in eaves, roof or attic spaces, perhaps after stormy weather, each are admirable for opportunists and can lead to a rat infestation that wreaks havoc and poses health risks. The Brown Rat, also referred to as the Common Rat and the Norway Rat, is the most common species in the UK. They measure 20-25cm without their tails and can weigh approximately half a kilo. The tail is shorter than the body and they have hair covered ears and the nose is flat. Their senses of hearing, touch and taste are enviable, and they are loyal to their fellow rats. 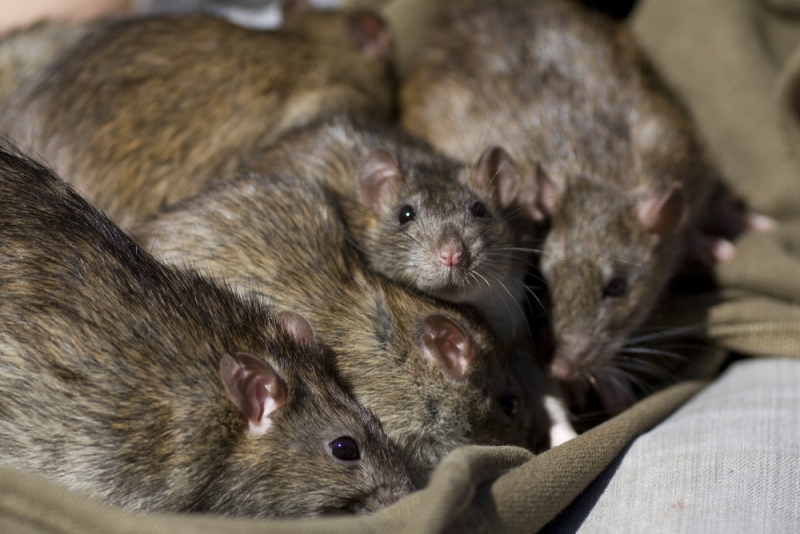 Pest Control Berkshire is a local rat control firm and their experienced team can confirm that the rat population is steadily increasing and that rat infestations can take hold, and expand, at an alarming rate. Rats take approximately 12 weeks to mature and start the breeding process, bearing 6-10 young in each litter. Whilst rats are industriously making their home in your property, they are creating a catalogue of health and safety risks so never delay pest control or wait to see if the rat infestation moves on. This is a highly risky course of action which could result in fire or structural and load bearing issues. Under the 1949 Prevention of Damage by Pest Act. (PDPA) it is the property owner’s legal obligation to ensure that a pest issue does not spread to adjacent properties. Local authorities vary in the assistance they offer but this is no excuse for inaction. Rats gnaw to maintain dental strength, and can cause damage to electrical cabling, fabrics, woodwork, bricks, storage boxes and thinner plastics and trust that they will purloin anything which aids nest creation, including loft insulation. Rats carry diseases which are harmful and sometimes prove fatal to humans; Salmonellosis is an example. Even after the rat’s death, bacteria can pass to people with serious ramifications so please don’t handle them. Over the counter rat control methods often emerge as a waste of time and resources. Pest controllers appreciate the hazards of the task and that comprehensive rat infestation eradication takes skill, experience and ingenuity. If anyone could remove pests, why would rat control specialists and pest companies exist? Pest control Berkshire’s specialists respond swiftly. Their vans are unmarked, and the uniforms are neutral, without logos. However, there is no need to be uncomfortable about a rat infestation pest control visit; rats are a feature of every day life in the UK.